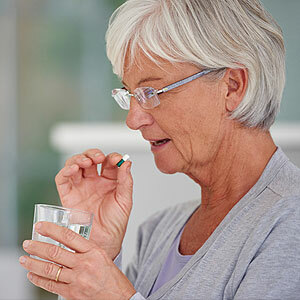 Two of the most prominent osteoporosis drugs are alendronate, known also by its trade name Fosamax, and denosumab or Prolia. While originating from different drug families, alendronate and denosumab work in a similar way by destroying specialized bone cells called osteoclasts that break down worn out bone and help dissolve it. By reducing the number of these cells, more of the older bone that would have been phased out lasts longer.